Good heart health is important at all stages of life. Heart disease continues to be one of the leading causes of death in our country. At the Holistic Healing Heart Center we’re doing our part to help patients achieve optimal heart health through a variety of holistic treatments, based on functional medicine. Functional medicine addresses the underlying causes of disease. It addresses the whole person, not just an isolated set of symptoms. The key is knowing when it’s time to see a cardiologist. What Are the Signs That You Need to Contact a Cardiologist? • If you have a family history of heart attacks it’s best to see a cardiologist. 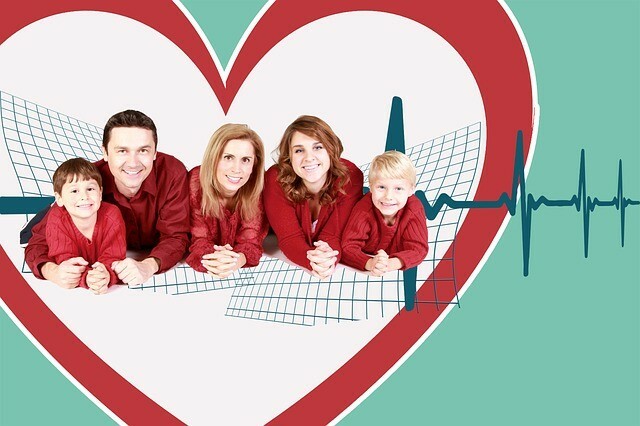 You want to review your family history and request tests that help determine your risk of heart disease. These tests include, low HDL cholesterol, high Lp(a) cholesterol, serum ferritin, homocysteine, and fibrinogen. • If you have heart symptoms, such as chest pain, syncope (unexplained fainting) or shortness of breath, it’s best to contact a cardiologist as soon as possible. • If you’re a man older than 40, or a woman older than 45, and starting a brand-new exercise program, we recommend going to a cardiologist for a stress test to rule out any undiscovered heart issues. Why Should You Choose a Doctor Who Uses Functional Medicine? The main benefit of choosing doctors who practice functional medicine is that they don’t just write prescriptions that could cause other health issues. Instead, they focus on natural, integrative medicine and they understand the power of taking a holistic approach to your health. It’s important to work with a cardiologist who treats the whole person. Unfortunately, the sad fact is that mainstream cardiologists tend to treat the heart, and any physical issues, without addressing the emotional issues of the patient. Fortunately, cardiologists who practice functional medicine treat the physical issues, nutrition, emotions, and any other factors that are contributing to your heart problems. Finding a compassionate doctor who is interested in you is the best way to ensure that you get the best cardiology care available. 1. During your first visit notice if he or she looks you directly in the eye and handles you in a caring way during the exam. 2. Does he or she smile and appear to be connecting with you and your issues? 3. Does he or she inspire you to take care of yourself? 4. If you have any requests about your care is the doctor willing to be flexible and partner with you on your requests? Ultimately, the best holistic doctor will educate and empower you to keep your heart happy and your whole body healthy and balanced. Learn more about your heart health and staying fit in 2017 from our top holistic doctors at the Holistic Healing Heart Center. Give our office a call to make an appointment. For even more heart health tips, check out Dr. Cynthia’s book,Your Vibrant Heart: Restoring Health, Strength, and Spirit from the Body’s Core.